Back in a previous lifetime, when I was a mesivta rebbe, I once heard a menahel exhort our talmidim to not get carried away on Purim. As an illustration, he described how a certain Gadol on Purim simply went into his backyard and swung back and forth on a children’s swing. The implication was that the Gadol hadn’t imbibed much. I wasn’t so sure, myself. Ad d’lo yoda can express itself in different ways. One thing is certain. Kedoshim u’tehorim on Purim, unleashed from the constraints of full daas, are more often seen singing and dancing spiritedly, even wildly, sharing divrei Torah and divrei sod that one might not ever hear from them the rest of the year. Needless to say, and unfortunately, some who are less kadosh or tahor can overindulge on Purim and come to act very differently. They may imbibe stronger things than wine (the preferred mitzvah) in excess, even to the degree of actually endangering themselves. That is nothing short of a horrific Purim mask, an aveirah in the guise of a mitzvah. But when the mitzvah is done right, though, even if the results are something more… well, dynamic than a placid visit to a backyard swing, something important about Klal Yisrael can be revealed. After all, Rabi Iloi (Eruvin 65b) tells us that one way a person’s essence can be discerned is “in his cup,” in his behavior when inebriated. Chazal teach us (Shabbos, 88a) that something was lacking at Mattan Torah, and the lack only remedied centuries later in the Persian Empire. Rav Avdimi bar Chama bar Chassa tells us there that “Hashem held the mountain over the Jews’ heads like a gigis [a barrel]” to force them to accept the Torah. One approach to that statement is that it refers to the experience of being directly addressed by the Borei Olam. Receiving direct communication from Hashem was so overwhelming, so traumatic, so crushing – after all, it caused our ancestors’ souls to leave them, and brought them to beg Moshe to be the only one to directly receive the final eight dibros – that it simply left no other choice but to accept His mission. For it was then that the Jews chose, entirely of their own volition, to perceive Hashem’s presence where there was no “mountain” held over their heads, where it was not only not overwhelming but not even obvious. Our ancestors chose to see Divine Providence in seemingly mundane, if alarming, political happenings, took the events to heart as a message from Above, and responded with tefillah, taanis and teshuvah. Thus, kiymu mah shekiblu kvar, they “completed” Mattan Torah, supplied what had been missing. The nation truly perceived Hashem, not only in thunder and lightning but in words inscribed on parchment and in a signet ring removed from a royal hand. Moving back to what is revealed when Yidden have a proper simchas Purim, I’ve often wondered about Rav Avdimi’s strange choice of imagery. “Holding the mountain over their heads like a barrel.” Wouldn’t a mountain looming above be galvanizing enough? What’s with the barrel? A gigis, however, throughout the Gemara, is a container for an intoxicating beverage. 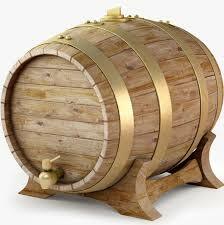 Chazal’s description of the implement of coercion at Har Sinai, in other words, is a beer-barrel. Rabi Meir in Pirkei Avos (4:20) admonishes us not “to look at the container, but at what it holds.” It wouldn’t seem outlandish to perceive some pertinence of that admonition to the gigis to which Har Sinai is compared. Or, in turn, to Purim, when wine allows the essence of Klal Yisrael, our truest nature, to be revealed. Don’t dwell, Rabi Meir may be saying, on our compromised acceptance of Hashem at Har Sinai in a state of coercion, but rather at our wholehearted, free-willed embrace of Him in our states of mindless purity. This entry was posted in Holidays, Jewish Thought, Personal Reflections, PURIM on March 22, 2016 by Rabbi Avi Shafran. On Purim, Jewish men, to varying degrees, imbibe strong drink, and Jewish women do their best to keep them safe and anchored in civilization. The holiday thus may not seem very female-centered. But it is. Not just because its hero is a heroine and the holy book about the historical event it commemorates is named after her, but because Megillas Esther verily revolves around femininity. The pliable, preposterous monarch we meet at the Megillah’s start is a poster child (or, perhaps better, poster adolescent) for male chauvinism. His 180-day drinking party, as the Talmud describes it, was a bacchanal of arrested-development “good ol’ boys” acting like louts, and entailed the debasement, and eventual execution, of his queen. And the next action of the foolhardy king was to organize the antithesis of true respect for women: a beauty contest. And Achashverosh, of course, ends up being manipulated by a woman, our reticent, modest heroine Esther, and led by her to dispatch the Jews’ mortal enemy, saving her people from his evil plans. But there’s a good deal more here, too, although it’s a good deal more subtle. Mordechai, the Midrash teaches us, was miraculously able to physically nurse the baby Esther when she was orphaned. Thus the male hero of the Purim story is rendered, at least in a way, something of a heroine himself. And the Talmud’s very exhortation that a man is to drink “ad d’lo yada,” – literally, “until he doesn’t know…” – can be seen as a subtle reference to another Talmudic statement, that “nashim da’atan kalos.” That aphorism, often mistranslated as “women’s minds are weak,” is more accurately rendered “women’s daas is light.” That is to say that the psychological entity called daas (the root of both the words yada and da’atan) is less sharply present in women than in men (while another entity, binah, is more present in women than in men). What each of those entities precisely refers to isn’t for here and now, or for the likes of me to try to fathom. But still and all, ad d’lo yada can be seen as implying some sort of “feminization” of the aspirant. So men who “successfully” achieve the spiritual goal of drinking on Purim might be said to have in some way connected with their inner female. Surprising and sublime thoughts like those are lost, however, on many people, certainly those who imagine they are somehow taking a stand for womanhood by celebrating, of all people, Vashti. Yes, Vashti. The villainess of the Purim story, who enslaved, beat and humiliated Jewish women, and forced them to do work for her on the Sabbath. Well, self-regard, anyway. So did Ilse Koch, the “Beast of Buchenwald,” who stood up to her accusers in a West German court. But never mind. Although it’s hardly the first time it has happened, it’s sad to see a carefully preserved Jewish historical tradition sacrificed on the altar of a contemporary ism. But something’s sadder here, a tragic sort of vinahapoch hu. In their blind dedication to the contemporary notion of feminism, the sacrificers here not only mangle the Megillah and mistake a malevolent oppressor for a role model. They miss entirely the genuinely feminist message of the Book of Esther: that the true power of womanhood isn’t to be found in trappings of manhood like self-regard and obstinateness, but in the embrace of the quintessentially feminine traits of modesty, selflessness, faith and courage. This entry was posted in Holidays, Jewish Thought, PURIM on March 10, 2014 by Rabbi Avi Shafran. The little boy was petrified, as one might imagine, by the gorilla who sat down next to him at the table in his (the child’s) home. I hadn’t meant to scare the kid; I was just tired and needed to get off my paws. It was a very long-ago Purim (the child is now a father and accomplished talmid chochom) and a group of us had rented costumes to use in Purim visits to homes while collecting for a worthy charity. The gorilla suit was very realistic (and very hot). Sheftel, as I’ll call the boy (because it’s his name) was around three years old at the time. I was around 19. I felt bad, and immediately removed my head—that is to say the gorilla’s. Sheftel’s eyes shrunk back to their normal size and the scream that had lodged in his lungs never made it to his wide open mouth. He saw it was only me. When, a bit later, I replaced my gorilla head, Sheftel let out a scream. I reminded him from inside that it was only me. He screamed again. I took off the head and he immediately calmed down. I put it back on and, once again, he screamed. Children, apparently, have to reach a certain stage before they realize that a costume is only a costume, that the person wearing it remains the person wearing it even when he’s wearing it. Sheftel had yet to internalize that truth. “Yes, that Shmelkeh,” Yankel says sadly. “The fellow with the terrible skin condition, the rash covering most of his face? “The Shmelkeh missing an eye, and with the large wart on his chin? “Yes, yes, that Shmelkeh,” Yankel confirms. Superficial things, we come to realize if we’re perceptive, are, well, superficial. Masks, in other words, mask. The theme of misleading appearances is, of course, central to Purim. Esther, the heroine of the historical happening commemorated on the day, hides her identity from the king who takes her as his queen. Her very name is rooted in the Hebrew word for “hidden,” and is hinted to, the Talmud teaches us, in words the Torah uses to refer to Hashem “hiding” Himself, rendering his providence undetectable. Which it is in the Purim story. The absence of Hashem’s name from Megillas Esther reflects the fact that His presence was not overtly evident in what happened. Yet, His “absence” was itself but a mask; Divine providence, in the form of delicious ironies, informs the story at every turn. From Achashverosh’s execution of his first queen to suit his advisor and then execution of his advisor to suit his new queen; to Mordechai’s happenstance overhearing and exposure of a plot that comes to play a pivotal role in Klal Yisroel’s salvation; to Haman’s visiting the king at the perfectly wrong time… Hashem’s presence loudly hums, so to speak, in the background. If anything merits being called The Purim Principle it would be: Nothing is an Accident. Even the very symbol of meaningless chance, the casting of lots, turns out to be Divinely directed and crucial to the Purim miracle. Klal Yisrael, too, is “masked.” The people seem beholden to an idolatrous, lecherous king, and readily participate in his grand ball where he celebrates, of all things, the finality of the Beis Hamikdosh’s destruction, chalila. But that was, as the Talmud teaches us, a merely superficial stance. In truth, behind the unimpressive Jewish veneer lay Jewish hearts dedicated to Hashem. And when events began to blow like a strong wind, the masks were ripped away. Our ancestors, in their fasting and prayers, showed their true essence. Is it any wonder that on Purim we wear masks? And make fun—of ourselves and even (good naturedly) of others? What we mock are the masks we all wear, the particular character each of us projects. The mockery declares that such things are superficialities, camouflaging what really matters: the Jewish soul that resides in, and ultimately defines, us. This entry was posted in Jewish Thought, OLDIES (HOPEFULLY GOODIES), PURIM on March 9, 2012 by Rabbi Avi Shafran. On the first day of the Jewish month Adar, the Talmud enjoins us to “increase happiness.” It is, after all, the month that holds Purim, when we express our gratitude to G-d for delivering the Jews in ancient Persia from their enemies, and when we give alms to the poor and gifts of food to one another. In 2003, the first day of Adar brought us an early Purim present. It wasn’t food, but rather food for thought. The previous day had been the fiftieth anniversary of the death of Iosef Vissarionovich Dzugashvili, better known as Joseph Stalin. A new book on the Soviet dictator and mass murderer, “Stalin’s Last Crime,” was about to be published, and The New York Times ran a lengthy article that day about the book, including its suggestion that Stalin may have been poisoned. The Soviet leader had collapsed after an all-night dinner with four members of his Politburo at Blizhnaya, a north Moscow dacha, and he languished for several days before dying. If indeed he was done in, as the book’s authors suspect, the likely culprit, they say, was Lavrenti P. Beria, the chief of the Soviet secret police. The book also recounts the story of the infamous “Doctors’ Plot,” a fabricated collusion by Kremlin doctors to kill top Communist leaders. That terror, however, thankfully never unfolded. Two weeks after the camps were ordered built, Stalin attended the Blizhnaya dinner and, four days later, was dead at the age of 73. The gift that Adar in 2003 brought was the knowledge of that theretofore unrecognized salvation, of what the killer of millions of his countrymen had apparently planned for the Jews under his control but which never came to pass. That Stalin met his fate (however that may have happened) just as he was poised to launch a post-Holocaust holocaust of his own, is something we might well add to our thoughts of gratitude at our own Purim celebrations today, more than a half century later. And we might note something else as well, especially during this season of meaningful ironies, when G-d’s hand is evident “between the lines” of history to all who are sufficiently sensitive to see it. During the feast at which Stalin collapsed, according to his successor Nikita Khrushchev, who was present, the dictator had become thoroughly drunk. And the party, he testified, ended in the early hours of March 1. Which, in 1953, corresponded to the 14th day of Adar, otherwise known as Purim. This entry was posted in Holidays, PURIM on March 7, 2009 by Rabbi Avi Shafran.